State Rep. Terry Canales, D-Edinburg, became the first Hispanic chairman of the Texas House Committee on Transportation, the legislator’s office confirmed in a news release on Wednesday. 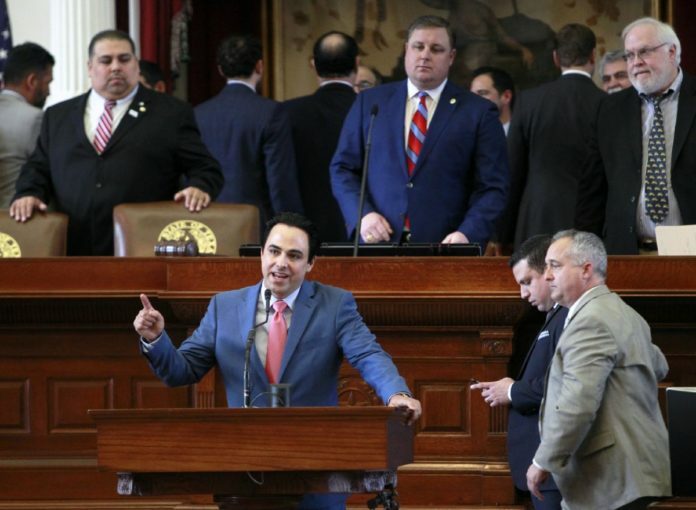 Canales was appointed to the committee by Texas House Speaker Dennis Bonnen. It’s the first time in more than 50 years that a Rio Grande Valley representative is on the committee. The committee is responsible for oversight of infrastructure projects. That includes transit systems, water transportation, roads, railroads and airports, among others. The committee also oversees the Texas Department of Motor Vehicles, the Texas Department of Transportation and the Texas Transportation Commission.